A wedding planner could be the best thing you spend your money on! Today more brides are hiring planners for their big day. Here are our top 10 reasons why you may consider hiring a planner for your wedding day. 1. YOU'LL BE THE GUEST OF HONOR – Hiring a wedding planner ensures that you will have a worry-free and stress-free day. Who doesn't want to have fun at their own party? A planner will take away all the stress so that you can have a great time enjoy your day like your guests! 2. RESPONSIBLE FOR REHEARSAL THROUGH THE END OF RECEPTION – In addition to planning your wedding, you have so much going on in your life. Do you want to coordinate your rehearsal or follow up with guests who have yet to RSVP? What about making sure the DJ and caterer show up? Wedding planners will handle all the details from beginning to the end, ensuring everything runs smoothly! 3. TAKES CARE OF CRISIS – Every bride and groom wants their special day to be perfect; however, most big events will involve crisis. No one wants to deal with unwanted guests or the missing corsage for the groom's mother! Wedding planners remain patient through all conflicts and and know how to handle any sudden changes. 4. GREAT SCHEDULE MAKERS – Wedding planners keep track of every event leading up to your big day! 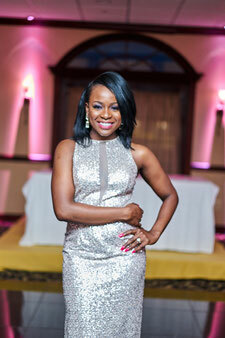 Wedding planners make detailed timelines and itineraries. They include all vendors and ensure everything happens on time and as planned! 5. FIRST POINT OF CONTACT – The average wedding has over 20 different vendors. Not only are you dealing with vendors, but there's also the family members, bridal parties, and guests. All of these individuals will have questions. Hiring a wedding planner, allows people to turn their questions away from you and to the planner. Planners are the go to person! 6. OFFERS ADVICE AND CONSULTATION –Wedding planners have planned and coordinated numerous weddings. They know what works best and what does not. They can recommend the best vendors and offer great wedding etiquette advice. If you are unsure of anything concerning your big day, you can count on the wedding planner to have the best answer! 7. MAKES YOUR DREAMS COME TRUE – Most brides have been dreaming of their wedding since they were a little girl. Wedding planners will work their magic and ensure that all your wishes and more come true! 8. RELATIONSHIP SAVER – Weddings are stressful! Wedding planning stress can cause disagreements and arguments with family and friends. Wedding planners have been there done that and many times and know how to handle through these problems. They also work as conflict mediators to ensure no relationships are broken! You still want to have a happy relationship with your mother and sister after the wedding! 9. MONEY SAVER – Who ever said weddings are not expensive is wrong! Weddings can be extremely costly. Nevertheless, a wedding planner can save you money. Wedding planners can often negotiate discounts for their clients because of the business they provide to vendors. A wedding panner will also help you create and stick with your budget. 10. TIME SAVER – Planning a wedding takes a lot of time. You can spend days, hours, and months planning your special day. Hiring a wedding planner will save you time, energy and stress. A wedding planner will research and recommend vendors and come up with great ideas to make your wedding day wonderful! A wedding planner will be there for YOU and ensure that YOUR day is everything you wished and more! 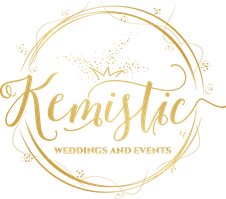 For more information on our wedding planning services, contact Kemistic Weddings and Events today!